An essential component of an excellent nonprofit organization is an excellent board. 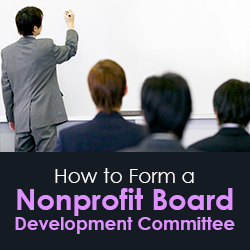 Begin by forming a Board Development Committee as a standing committee of the board. It would meet on a regular basis to help make sure the board was excellent. Perhaps the immediate past president could serve as the chair of the Board Development Committee. All committee members would be required to attend all meetings of the committee. All new board members are required to attend a board orientation before attending their first board meeting. The Board Chair and the Executive Director would lead the orientation. It would certainly be appropriate to invite all board members to attend the orientation session. Items to be reviewed include strategic plans, recent meeting minutes, the agency budget, and past annual reports. A tour or the agency and meetings with top staff members should be included in the orientation. This responsibility for nominating officers and new board members was formerly a duty of the Nominating Committee. The Board Development Committee would not recommend an officer or board member for reelection if the potential officer or board member have not been meeting their responsibilities. The Board Development Committee would nominate individuals with a view toward assuring board diversity. Each board should reflect the diversity of the community they serve including age, gender, race, religion and income diversity. 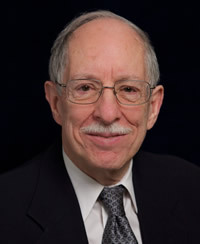 If a board member misses board meetings, a member of the Board Development Committee contacts that board member to remind them of their duty to attend all board meetings. If a board member acts inappropriately at a board meeting, a member of the Board Development Committee would discuss this issue with the board member. The Board Development Committee would also remind board members of their responsibility to make a financial contribution to the agency.